Transposer provides a rigid base to secure your SSD or hard drive. Its specially-engineered open-frame aluminum heatsink design delivers effective heat dissipation, especially important to maintain the long-term reliability of high-performance SSDs and hard drives. Transposer’s fixed mount connectors are attached to a simple circuit board, assuring solid connections betweeen devices, and the outside connector is positioned to plug into a backplane as the tray is inserted. Other advantages of this simple design include great compatibility and undiminished speed—Transposer is compatible with 3Gb/s and 6Gb/s SATA SSDs and hard disk drives. Because no bridge chip is used, Transposer does not cause any loss in data transfer speeds. 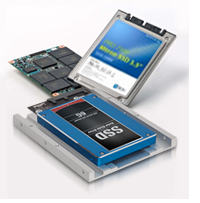 Transposer takes the guesswork out of securely adapting a 2.5" SSD for use in 3.5" drive tray—it just works! Versatile Mounting Solution. Transposer adapts 7mm to 15mm 2.5" SSD drives to any 3.5" drive tray. Standard position mounting holes on the bottom of Transposer enable you to install an SSD drive into a Mac Pro hard drive carrier. 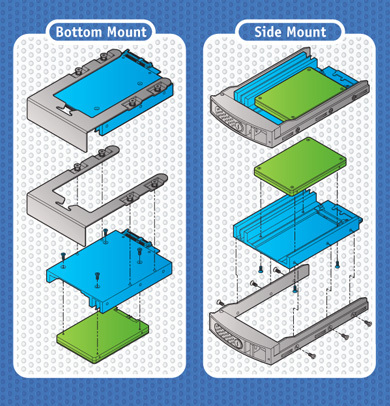 Side mount position holes provide proper mounting positions for a a wide variety of drive trays, such as those used in Sonnet Fusion storage systems. With standard position bottom mounting holes, installation of Transposer into a Mac Pro's hard drive carrier is quick and easy. 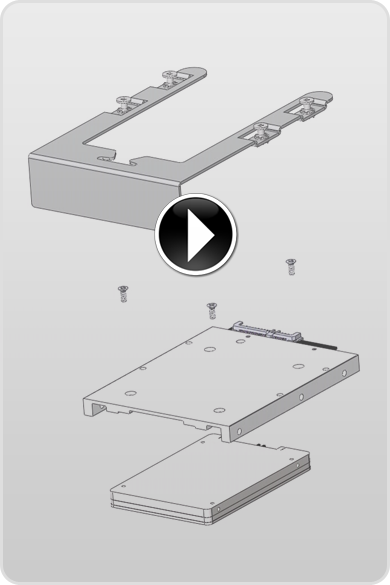 Transposer's side position mouting holes provide the security and convenience of installing 2.5" SSD drives in 3.5" drive trays.